Since the health care industry has made the move to electronic health records, a lot of tech-savvy nurses have found their niche as Informatics Nurse Specialists. This career combines their experience as nurses with technology know-how to keep up with the industry’s demand for accurate, timely data. These specialists may test new software that helps nurses make healthcare decisions, or create a better structure to store and retrieve patient records. They may develop new policies and procedures for using electronic records software, and train nurses on how to enter patient data. In all they do, they make sure that their electronic healthcare system observes patient privacy standards while meeting the needs of their facility. Informatics nurse specialists work closely with nurses, although their focus is on the needs of patient groups rather than on one-on-one care. They’re likely to have a desk, but use others’ computers for demonstrations or to set up and update new software. 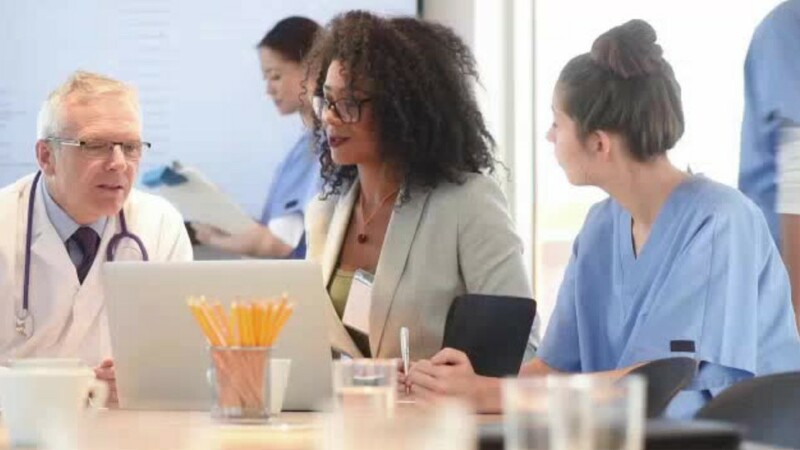 Typically, informatics nurse specialists have a bachelor’s degree in nursing and some work experience before entering the field, since it’s easier to train a nurse in electronic health records than to train a technology whiz on health care. As the field grows, more employers will likely seek candidates with advanced degrees in fields like healthcare management. Nurse informatics specialists make sure that medical professionals can obtain critical information at a second’s notice- when they need it the most. See more details at O*NET OnLine about informatics nurse specialists. Informatics Nurse Specialists by U.S. Department of Labor, Employment and Training Administration is licensed under a Creative Commons Attribution 4.0 International License.